Groose Cottage is a traditional Gower stone built cottage which has been restored into a cosy and welcoming two bedroomed family retreat. The cottage is very comfortably furnished and features a large lounge with a soft sofa (that doubles as a sofa bed, adding two more spaces if ever needed) and easy chairs arranged around an original inglenook fireplace that has been recovered with a warming log burning stove. Upstairs is a double bedroom to the rear, and a large bedroom with two single beds and two bunk beds at the front. Both bedrooms are attractively decorated with wardrobes, dressers and plenty of storage space. A more modern extension at the rear of the building houses the kitchen (which is fully fitted with electric hob and oven, fridge, freezer, washing machine and dishwasher) and bathroom and lavatory. Central heating and hot water are provided by an oil fired combination boiler which can heat the whole building and provide steaming hot water within minutes. There are thermostatically controlled radiators in every room (including the porch, landing and lavatory) so a comfortable warmth can be guaranteed, whatever the weather. Behind the cottage is a small ‘suntrap’ garden with spectacular views over the pine forests, the salt marshes and the sea. At the front there is a larger pretty cottage garden with a patio and outside furniture – ideal for al fresco dining! The cottage is well equipped with all the creature comforts you could need including a selection of books, board games, a colour television (with Freeview digital reception) with DVD player and even a Playstation! The kitchen is well equipped with plenty of good quality crockery and cooking equipment and there are literally a dozen duvets and loads of pillows! Groose Cottage is in a peaceful and tranquil hamlet, adjacent to the stunning Whitford Sands National Trust Reserve and within very easy reach of all of the Gower’s famous beaches. The area is popular with walkers and is a prime location for studying birds and wildlife. Both Whitford and Broughton beaches are accessible by a short walk. The cottage is fully furnished and equipped with all necessary cutlery, crockery and cooking utensils. Duvets, pillows, bed linen and bathroom towels are all provided – please make sure we know how many beds you wish to use!. Our standard let is for 7 nights commencing from Saturday. 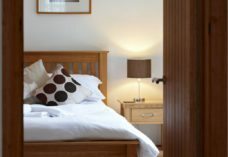 At off peak times (i.e: away from school and bank holidays) we can accommodate 3 night lets subject to availability. The cottage is fully furnished and equipped with all necessary cutlery, crockery and cooking utensils. Duvets, pillows, bed linen and bathroom towels are all provided – please make sure we know how many beds you wish to use!. The cost of electricity and central heating is included in the rental price. We are happy to welcome tidy, well behaved dogs who promise not to damage any of the furniture at a one off fee of £20.00 per dog per booking. Please note that smoking is not permitted in any part of the cottage or its grounds. Have special requirements? Call Patrick Chamberlain on 07738 124 130.